Once upon a time there was a rich King who had four wives. He loved the 4th wife the most and adored her with rich robes and treated her to the finest of delicacies. He gave her nothing but the best. He also loved the 3rd wife very much and was always showing her off to neighboring kingdoms. However, he feared that one day she would leave him for another. The King's 1st wife was a very loyal partner and had made great contributions in maintaining his wealth and kingdom. However, he did not love the first wife. Although she loved him deeply, he hardly took notice of her! One day, the King fell ill and he knew his time was short. He thought of his luxurious life and wondered, I now have four wives with me, but when I die, I'll be all alone." Thus, he asked the 4th wife, "I loved you the most, endowed you with the finest clothing and showered great care over you. Now that I'm dying, will you follow me and keep me company?" "No way!” replied the 4th wife, and she walked away without another word. Her answer cut like a sharp knife right into his heart. The sad King then asked the 3rd wife, "I loved you all my life. Now that I'm dying, will you follow me and keep me company?" "No!” replied the 3rd wife. "Life is too good! When you die, I'm going to remarry!" His heart sank and turned cold. He then asked the 2nd wife, "I have always turned to you for help and you've always been there for me. When I die, will you follow me and keep me company?" "I'm sorry, I can't help you out this time!” replied the 2nd wife. "At the very most, I can only walk with you to your grave. Her answer struck him like a bolt of lightning, and the King was devastated. Then a voice called out: "I'll go with you. I'll follow you no matter where you go." The King looked up, and there was his first wife. She was very skinny as she suffered from malnutrition and neglect. Greatly grieved, the King said, "I should have taken much better care of you when I had the chance!" 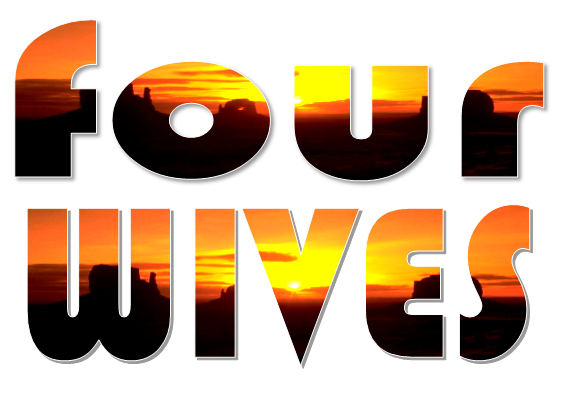 IN TRUTH we all have the 4 wives in our lives: Our 4th wife is our body. No matter how much time and effort we lavish in making it look good, it will leave us when we die. Our 3rd wife is our possessions, status and wealth. When we die, it will all go to others. Our 2nd wife is our family and friends. No matter how much they have been there for us, the furthest they can stay by us is up to the grave. And our 1st wife is our Soul. Often neglected in pursuit of wealth, power and pleasures of the world. However, our Soul is the only thing that will follow us where ever we go. Cultivate, strengthen and cherish it now, for it is the only part of us that will follow us to the throne of God and continue with us throughout Eternity. Thought for the day: Remember, when the world pushes you to your knees, you're in the perfect position to pray. If you want peace in your heart and forgiveness for your sins, please say this prayer from your heart and mean it. Dear Lord Jesus, I have been living my life without you. I need you now. I open the door of my heart, come into my life, Forgive me of all my sins and make me a anew person, fill my heart with your joy so that I may become the person I was meant to be. Amen. As the sun set at dawn I took my dog for a walk at the park. It’s was that time of year to smell fresh flowers and enjoy living in gracious marvel. Walking through endless beautifully manicure field in the park, my dog wag his tail in excitement, racing up and down constantly barking. As I sat down under shades of trees, with the chaotic behind me many awesome memories flow through my healthy mind. In the midst of this wholesome peace that I felt within me I started to ponder the life of the poor and the life of the rich. My discoveries surprised me. The rich build their houses surrounded with barricades, high walls with state of the act security network, a night guard and a dog that may bark endlessly at the approach of an intruder. On their gate is an inscription, “Beware of The Dog” or “Beware of snake” Electric gate and iron fences, all manner of signs that says stays away. To the rich material things is no big deal, money is not his problem because he can afford what money can buy. But there are times he found he cannot fully enjoy the fruit of his labour. Many hasten to become rich by any means, thinking when they find it, living will just be happiness and excitement like a river all the way… alas, the more empty and depressed they may feel within. They sleep at night with one eyes closed sometimes and the other open gazing through empty ceiling on an endless night. He has a nice bed and all the comforts of this world yet sometimes sleep eludes him constantly. The more he acquired worldly goods the more he wants. Like the river that never drinks full, what an irony. The poor story is slightly different though. The poor pitch their tent at the open field, no fence, no barricades, no high walls, nothing separate him from his neighbours, no dog, even if he got one that dog is an “Area boy” – street boy). You may never find him at home except the master tied him down. He hustles from one street corner to another in search for a meal. The poor might not afford state of the art interior decoration or a water bed to rest his head after his days at work; he sleeps at night resting his case in divine providence and lives one day at a time. The life of the poor may be full of needs but, both the poor and the rich, they all have unmet needs. 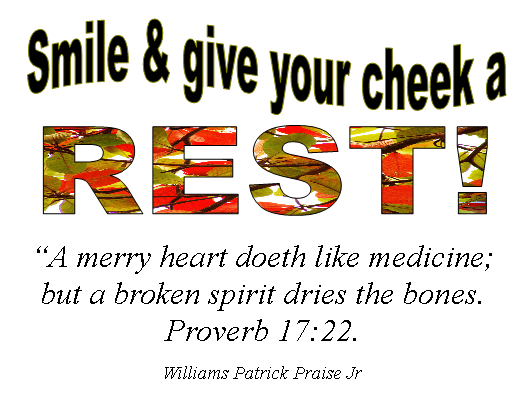 · The rich man break down in despondency the poor man experience the same. · The rich are pregnant with many unanswered questions while the poor experiences the same. · The rich gets confused the poor gets confused. · The rich feel insecure the poor feels the same. · The rich wants to be loved the poor feels the same. · The rich gets frustrated the poor feels the same. · The rich wants to be appreciated the poor feels the same. · Sometimes the happening around us bring tears to our eyes. It happens to the poor and to the rich. The rich also cry. · The rich endures pain the poor endures pain. The rich endures suffering in their own way the poor endures the same. The rich endure loneliness and the poor experience the same. The situations that bring tears and pain to the rich may not be what bring pain to the poor. But, they – rich & poor experience melancholy, death, illness, despondency, frustrations, suicide thoughts, betrayer, discouragement, self doubts and fear, tears and mourning, family and personal struggles, self hate, disappointments, failures, unemployment, imprisonment, loneliness, unloved of oneself, divorce, insecurity etc. If you cannot run away from your shadow you cannot walk away from yourself. You may try to walk away from the world but you can’t run away from yourself. Every human being is fragile and vulnerable. Life is fragile so handle with prayers. 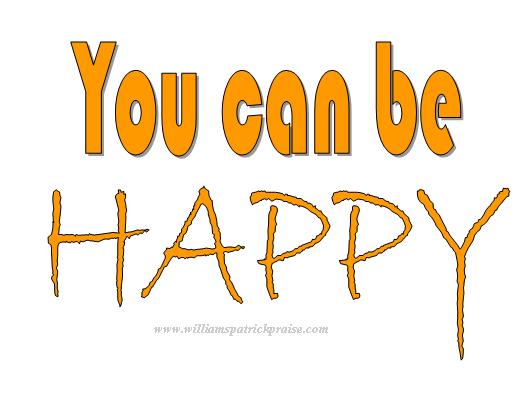 BUT, YOU CAN BE HAPPY! Let the unhappy past go. Yesterday was finished last night. Let it go, refused to keep on thinking about it and stop regretting past happiness, what you should have been that you didn’t be. Make the right choose today – BE HAPPY! You can be happy. Christ can give you joy which leads to happiness, contentment and fulfillment.